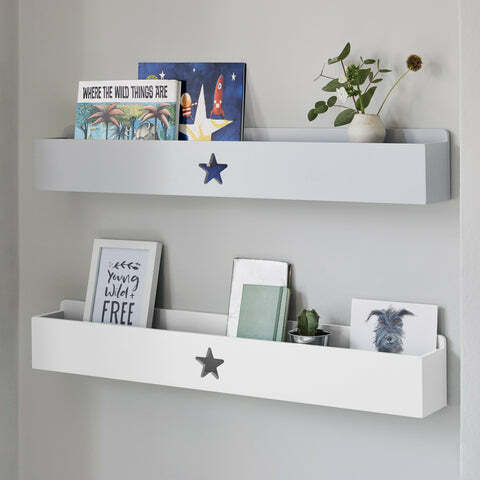 Star Book Ledge, White | Great Little Trading Co. 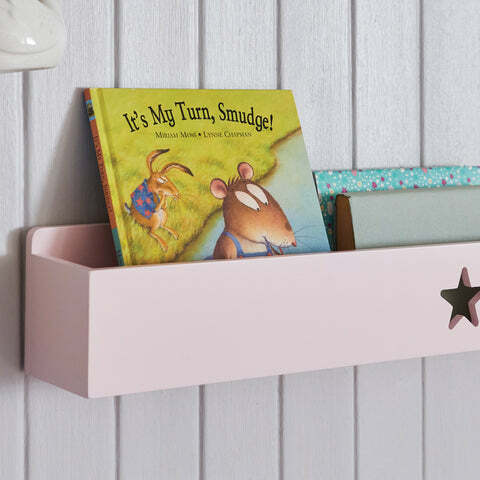 This clever, shallow ledge is great for books, magazines or comics; the gallery style design keeps books tidy but easy to find. Hang one next to a bed, or a few togeter to create a beautiful wall mounted library. Please note wall fixings are not supplied with the shelf; you'll need to choose the fixings that are suitable for the walls in your home. Running out of space? 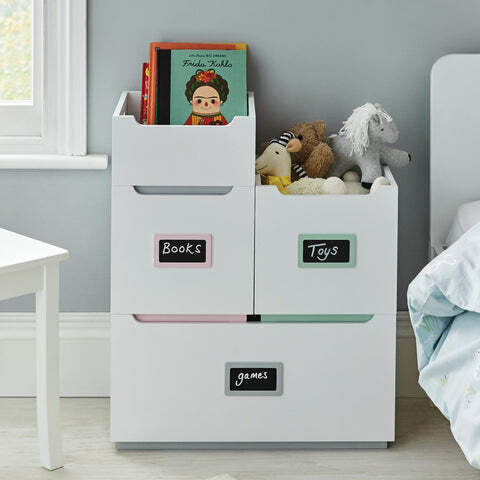 Clear and sort out your clutter with the help of our Toy Boxes and Toy Storage.